Drug addiction does not occur overnight. Most persons who get addicted to drugs start out with fun, recreational, and casual use. This results in addiction after getting through certain stages. Drug addiction can destroy personal relationships, damage your health, legal issues, financial ruin, death, or overdose. The first stage of drug use is experimenting. The second one is routine drug use. This is followed by risk-taking drug use, dependence, and then addiction. Some of the symptoms and signs of drug addiction include disease, injuries, loss of emotional responses, and chronic relapses. As far as addiction is concerned, the human brain works like a spring under tension. Alcohol and drugs push the spring down. Use of drugs suppresses production of neurotransmitters such as noradrenaline. When an addict abruptly stops using drugs, his or her brain rebounds and thereby produces a lot of adrenaline causing withdrawal symptoms. Some of the withdrawal symptoms include anxiety, irritability, sweating, social isolation, poor concentration, headaches, muscle tension, and difficulty breathing. At Rehab HC Buckinghamshire, we have professional doctors, detoxifiers, and therapists who help patients overcome withdrawal symptoms. Also, appropriate medications are provided. Buckinghamshire is considered to be an excellent commuter base for people working in London. Open vales, Chiltern Hills, and lush valleys are just at your doorstep. The city has lots of shops, stately homes, and theatres. Incomes are quite high in this city with an average weekly income of £535 per week. It has a high life expectancy of 84 years. However, this high expectancy rate is threatened by increased rates of drug addiction. Rehab HC offers hope to both the addicts and the community at large. We are now providing addiction treatment in Bucks, as it is widely known. The good thing about a professional rehab facility is that they carry out detoxification first to eliminate side effects of withdrawal. It is advisable to enroll in a residential rehab facility because detox medications ought to be used under strict supervision and monitoring. Failure to do so, addicts will be trading drug addiction for another. Detox specialists help patients decide whether medical treatments are ideal based on the drugs one abused, level of severity, and their commitment to sobriety. The main aim of detoxification is to offer a safe and comfortable withdrawal from substance use disorder and facilitate a patient’s transition towards recovery. How to choose a rehab centre in Buckinghamshire. 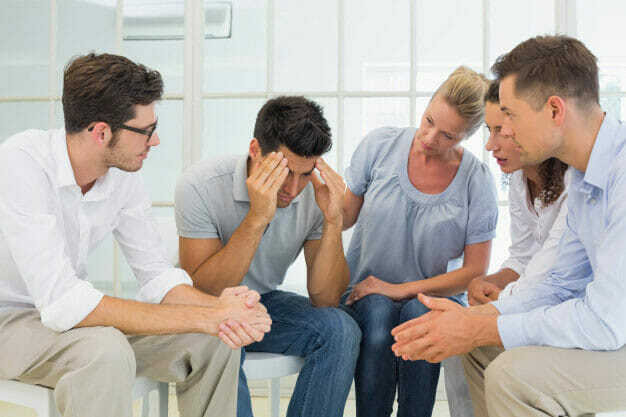 Determining what kind of rehabilitation facility in london is the best for a person fighting addiction comprises of a lot of research which can take a quite a bit of time and energy. The majority of people have neither enough time nor the know-how to undergo such a time consuming undertaking when looking for the suitable rehab treatment centre. Rehab HC can take this stress off you by helping you to select the most beneficial rehab facility in london. We work with the finest approved rehab facilities and understand their programs in an out. This puts us in the position to aid you in selecting the right addiction treatment facility. Alcohol and substance addiction is a chronic disease that is subject to a period of relapse. During the treatment program, you may be exposed to particular triggers and risk factors that may force to start abusing drugs. Therefore, there is a need to undertake steps to minimize the likelihood of a relapse in the future. Rehab HC Buckinghamshire offers group counseling and aftercare services to ensure patients get back to normal living in the society smoothly. If you are addicted to drugs and alcohol, or you know a loved one in Buckinghamshire, feel free to call Rehab HC on 0330 113 2627 now. A lot of people have undertaken addiction treatment, which has changed their lives completely. By calling us, you have taken a positive step towards treatment. It is time you take the right step and change your life completely.